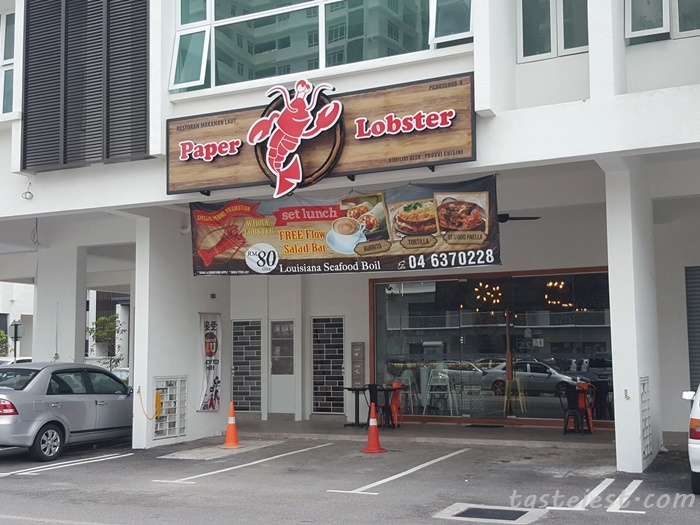 We always visit online voucher website for better discount when we looking for new restaurant to try out, while we browse through Groupon and saw Paper Lobster seafood package RM210 we decided to give it a try since got 24% discount for just RM159. Thanks to my sister reminder about Shopback which allow me to get extra cash back from my purchase, I save another RM11.76 by clicking through ShopBack Malaysia, I will share more now. We discover the leading cashback site in Malaysia Shopback.com recently and try a couple time before we decided to share with our reader, why? Because we doubt on the cashback given as we have no idea why they gave extra discount but after few try and get our cashback now we are confident to share. Before you proceed further, you can create shopback account here. 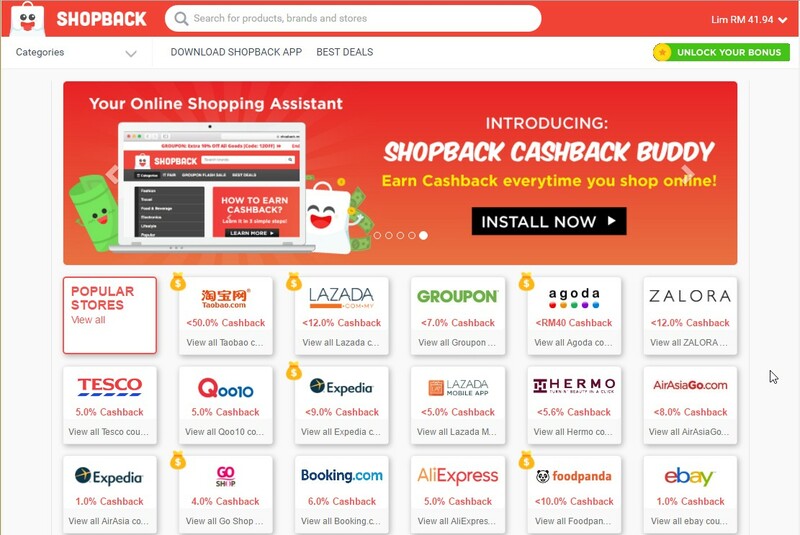 ShopBack Malaysia not only gave cash back on Groupon instead they do partner with big online retailer such as Taobao, Lazada, Agoda, Zalora, Tesco, Qoo10, Expedia, AirAsiaGo, Booking.Com, FoodPanda, Ebay…etc, what you need to do is just create a FREE account at ShopBack and click on the Merchant Icon on their website which will then redirect you to the partner website for purchase. 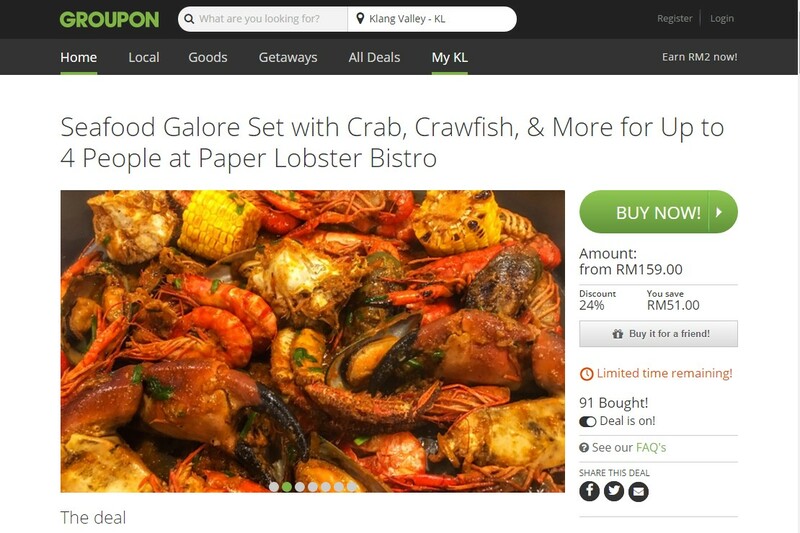 We always Find great discount from Groupon Malaysia food deals which provide best offers on food and beverages. We just follow the normal purchase through Groupon and automatically they will credit the cash back to our ShopBack account. Extra discount with just a few extra click. 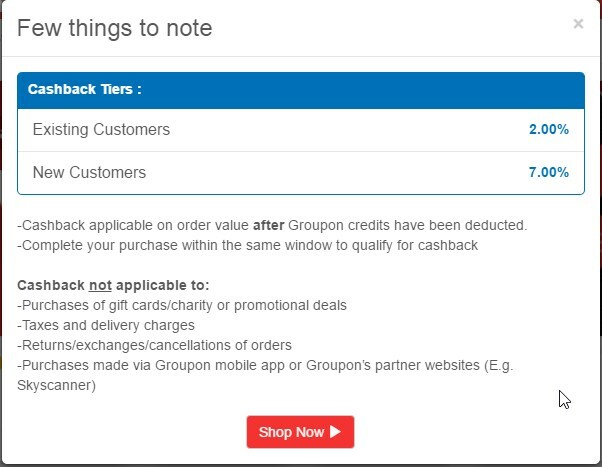 The best thing is after we purchase from Groupon, ShopBack system will automatically send us email inform that purchase has detected and credit will shown in ShopBack account within few days. Yes, RM11 has been capture, but we still need to wait for 64 days in order to redeem the cash back. Here is our previous transaction, as long as you meet the minimum of RM10 you can cash out your balanced and they will transfer it to your bank account. 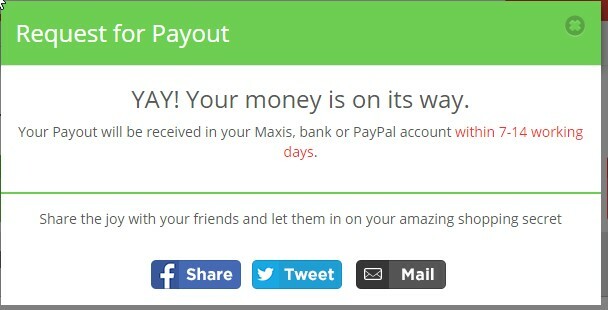 With just a few click, my cash back of RM15.11. If you find my explaination to be confusing, you may check out their official video. Link to ShopBack. 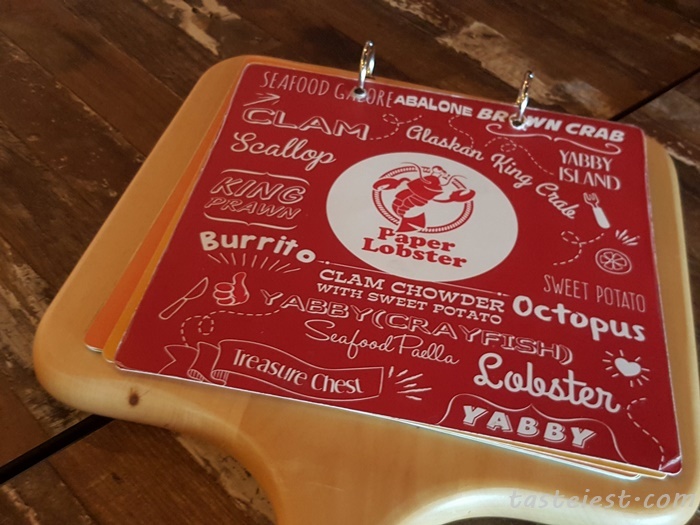 Back to Paper Lobster, Seafood! Let roll! 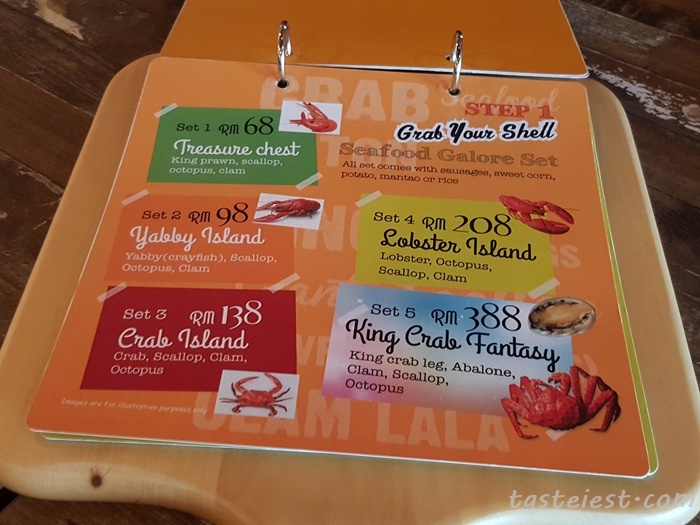 You can get different package from the menu starting from RM68 to RM388, depend on which type of seafood you want or you can add on different type of seafood as well. Since we bought online voucher so we can skip this selection. 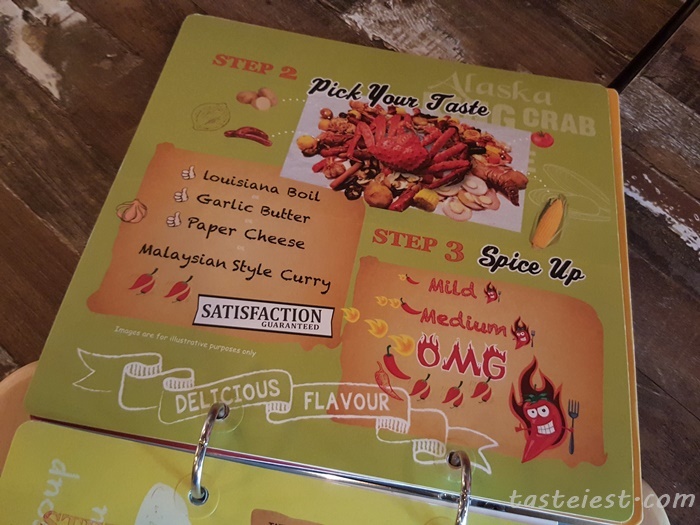 After select your package you choose your flavor with option Louisiana Boil, Garlic Butter, Paper Cheese or Malaysia Style Curry. We choose Garlic Butter as recommend by the manager. 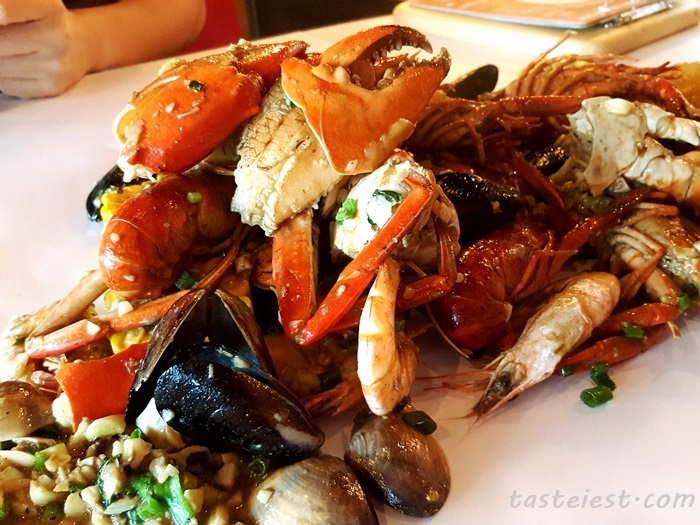 Teng Teng, our RM210 seafood platter served on table. 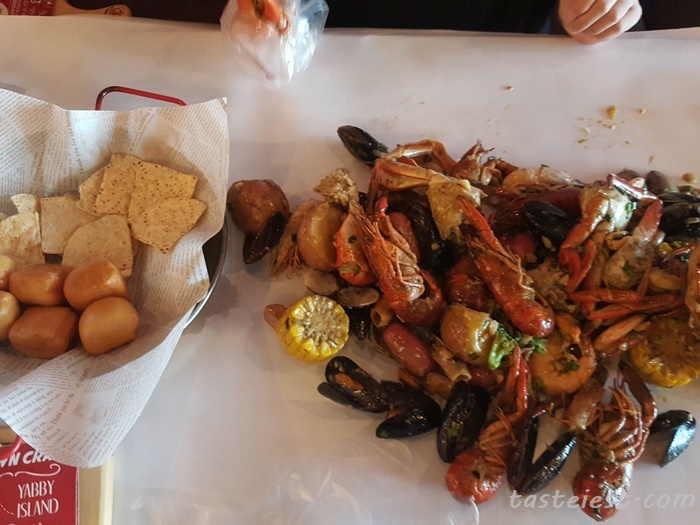 (Actually we only pay RM148 with saving from Groupon and Shopback combination) Wau, we are pretty impress with the amount of seafood served as it definitely more than enough for two of us. 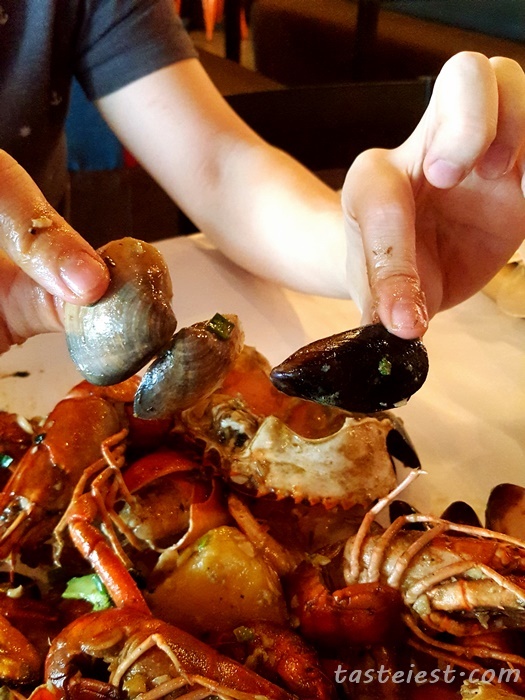 Immediately we can smell the garlic and butter aroma with strong seafood fragrance. 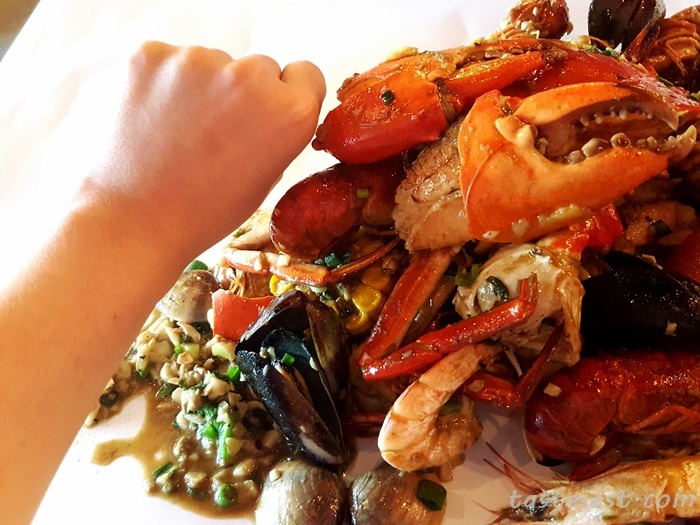 Our package included 1 big mud crab, countless prawn, yabby, mussels, clams, sausage, sweet corn and potato. 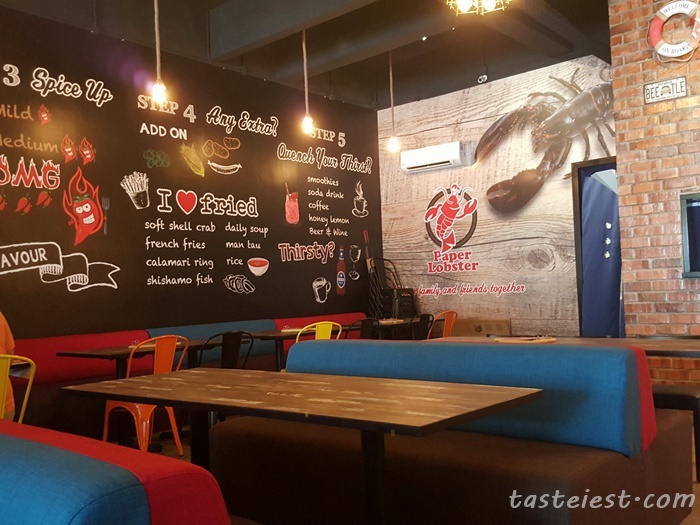 We have one big mud crab that taste super-duper awesome, it is extremely fresh and delicious. 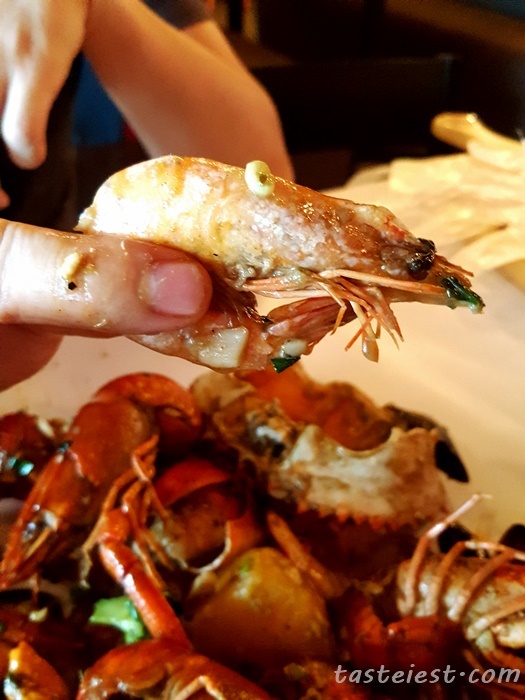 Same goes for out prawn, fresh and sweet. It taste awesome with the garlic butter. 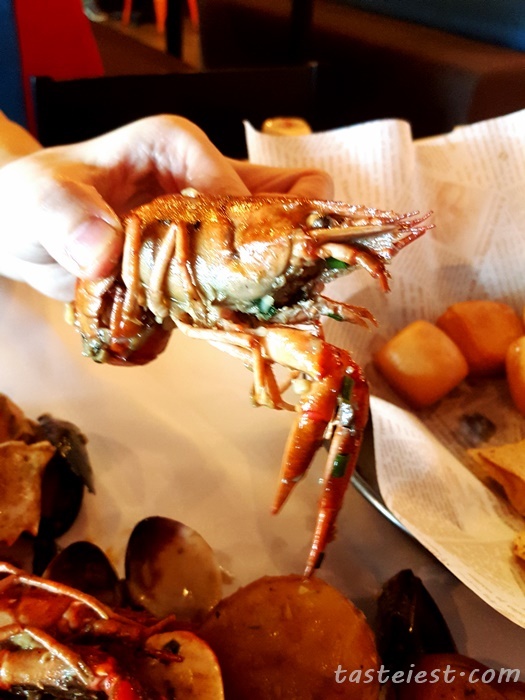 Personally Yabby is not our favorite but still not bad consider it freshness. 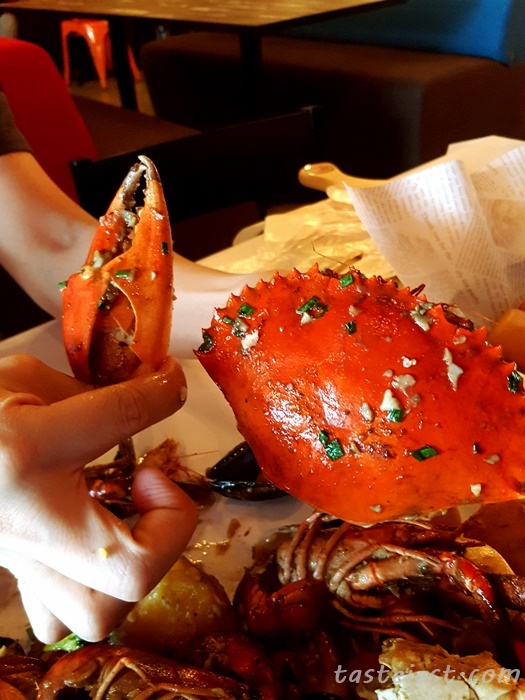 See, how big is our crab claw. It is so delicious. 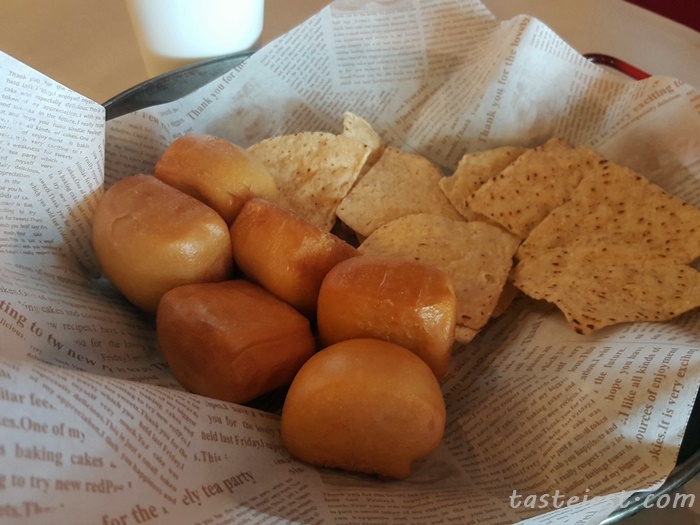 Included in the package are Mantou and Nancho. Yummy Yummy! Glove are provided as well. 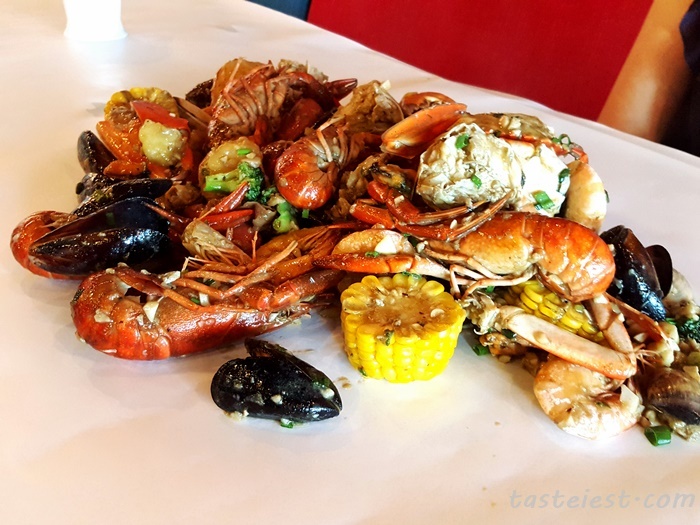 Crab, Prawn, Yabby, Muscle and Clam.